With all the craziness that has surrounded my life the last few weeks, as I finished my teaching job at Northland and prepare to move to the Bismarck area for my new job as an archivist with the North Dakota State Archives, I neglected to post yesterday for what was the tenth anniversary of starting this blog. I was busy packing some books to bring them down today when I checked into my new apartment out there. After ten years of off and on posting on the Civil War about a variety of topics and with a diverse cast of fellow contributors, I am excited to see about posting more going forward and trying to get into a habit of writing to one of my blogs each day, which will hopefully inspire me to kick it into gear on my dissertation. Over the time I have tried to devote to this site, I have come to enjoy the periodic journeys into the various matters I have covered, including some controversial ones. 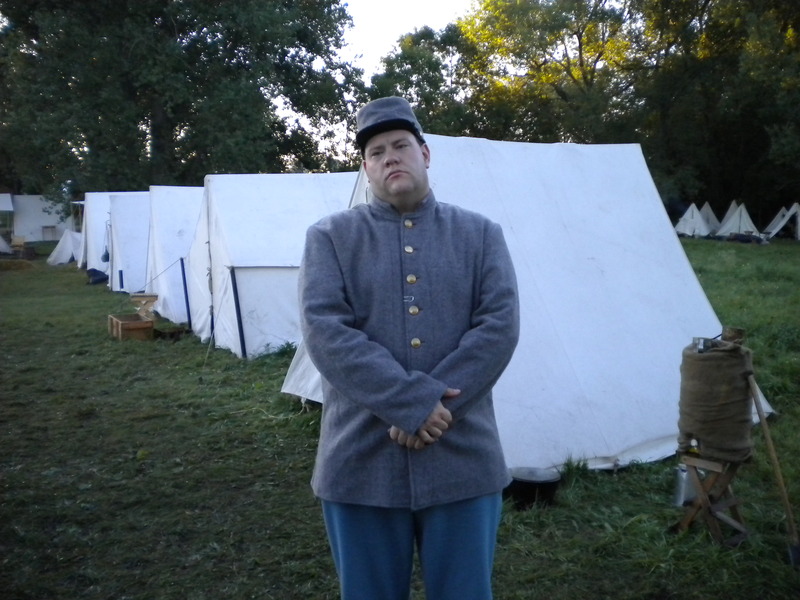 One thing I have done these past few months is teach a course on the Civil War and Reconstruction to students at the two campuses of Northland Community and Technical College. This was an exciting opportunity for me to finally teach a subject I enjoy greatly. Along the way, I learned some important lessons myself and have had some time to reflect on the course as a whole and how I might do things differently going forward if I am fortunate enough to teach such a class again. One of the first decisions I made was choosing the readings for the course. There are literally hundreds of books to choose from on the Civil War that are useful for a course. I wanted to use a book that would be relatively cheap and cover some of the more recent areas of scholarship, particularly social history. I decided to use Scott Nelson and Carol Sheriff’s A People at War: Civilians and Soldiers in America’s Civil War (2008), as I liked its thematic approach. In addition, I wanted them to read a memoir or diary written by a soldier who fought in the war, so I chose my old favorite and reliable Story of a Common Soldier by Leander Stillwell. Of course, I must confess my bias on using this one, as Stillwell is from my home county, Jersey County, Illinois. In retrospect, I stand by my choice of Stillwell, as his is one of the best written accounts by a Union soldier in the Western Theater. However, I am not as sure on my choice of my other text, as students seemed, based on comments when I asked them about it, to struggle with the concepts brought forward in the book. Were I to teach the course again at a similar institution, I would consider probably using Charles Roland’s An American Iliad instead. Now, in terms of subjects for lecture, I wanted to cover a wide variety, while keeping the focus to the major campaigns of the respective theaters and the major battles. I stuck to this, while having lectures also dealing with the historical context of the war, covering the history of slavery in America and the path towards disunion. I also devoted classes to the lives of soldiers and the experiences of women and children, death and medicine, as well as international relations. I was able to cover these subjects to varying degrees, mostly because of the constraints of the nature of the course schedule. This leads me to one observation of my course that I wish dearly I could have changed, the time and duration of the class. My class was held on Monday, Wednesday, and Friday from 11:00-11:50 AM. Further, though this was my doing, the class was to be held via Interactive Television (ITV), allowing it to be simultaneously held at both campuses, with me being at one (usually the East Grand Forks campus, since it was closer to my home). I was scheduled to teach this same class in the fall semester last year, but it was cancelled because of low enrollment, which really disappointed me, as it was to be on the East Grand Forks campus, which would have allowed me to do my stock lecture on creating armies with my reenacting gear outside, as it would have been in September. This development altered that and I anxiously awaited the news of the course being allowed in spring. Fortunately, the class made it for spring, but it’s scheduling and situation, as noted above, were awkward. I strongly believe that all history courses covering specific events, or shorter-duration periods of time are best suited for two days a week with classes being an hour and fifteen minutes in length. This is to allow a fuller examination of particular topics and time for questions. This is lost in a fifty minute class period and both the courses I took on the Civil War were two days a week. In addition, there is the inherent, though unintentional neglect of the students from the one campus the instructor is not in person with in the classroom. Despite that issue, I made the best of it and also devoted time to showing some videos. I always enjoy showing an episode or two of Ken Burns’ The Civil War, as it’s a classic and still stands the test of time. I also wanted to show a feature film about the war. While Gettysburg (1993) is a fine choice, it is too long for such a class and I would not want to show Gods and Generals (2003), as while it could foster some fascinating discussions about the memory of the war and interpretations on it, I feared I would spend too much time trying to correct some of the issues related to the portrayal of the Confederate leadership. I ended up deciding to use another favorite: Glory (1989). First, I have always enjoyed the film from the first time I saw it at 11-12 years old, as it is a great movie with a solid cast, despite some of the historical errors. Second, I felt that choosing a film that covered the often-overlooked contributions of African Americans to the war was an essential subject for the students to be exposed to and learn from. Finally, I hoped that it would spurn a lively discussion when we concluded watching it. Unfortunately, like many college students today, I had to pry answers out of them, and most seemed either uninterested in discussing, or more likely uneasy with speaking up about the questions I posed. I know going forward, I will still show such a film in a class on the war, but will also come up with a list of discussion questions for the students to write on and then discuss. I’d like to think that all the students learned something from the course, though, as with any class, some exam grades demonstrated that some struggled to grasp the materials, or I am too tough of a grader. One area that really got to me was the efforts on a key assignment for the course, a research paper on any topic related to the war. It is important to note the students had access to their own college library, albeit with a rather limited selection of quality history titles on the shelves, but also the broader consortium of libraries across Minnesota. I stressed using ILL and required them to use at least one book as part of their research. A few did do this quite well, but many simply used whatever Internet sources they found. This really upsets me, as I feel it is part of a larger problem of high and even middle schools not effectively teaching students how to research. Anytime I assign such work, I always stress utilizing the library staff of trained professionals to assist in researching, as well as using any writing assistance before coming to me. Since I had them submit rough drafts for me to look over for such things over a month prior to the final papers due date, several did not heed my advice and their papers suffered for it. I still feel that a quality research paper is important for such a class to allow a student’s individuality to shine while learning to find evidence and argue a point. Clearly, we are not serving our students well by not stressing quality writing and citing of sources prior to them coming to college. Overall, my experience in teaching the Civil War, even with some ups and downs along the way, was a positive teaching experience for me, as I learned that while I still want a book that covers the newer areas of scholarly inquiry into the war, I also need to remember that my students are not like me and perhaps a less formidable style and coverage are warranted. I do hope I get the chance to teach it again some day. All in all, what a ten years it has been blogging about the war with you all. I have learned much about myself and hope that the next ten years will be more productive, as I hope to begin showcasing some fun finds related to the war in the archives beginning in the summer. There is a fascinating discussion going on over at H-CivWar about the current state of stand alone history courses on the Civil War. So far, the respondents indicated that the institutions they have attended and/or work for all have distinct courses on the conflict, including some offering graduate seminars on it. The discussion seemed to be influenced by both the recent conclusion of the sesquicentennial of the Civil War, as well as the current trends in historical education and scholarship. That said, I will say that the field of Civil War history is still quite vibrant and while non-military topics have grown in prominence and attention over the years, this is not a bad thing, as there was more to the conflict than just the armies and their battles and movements that do need attention and awareness to more fully understand the profound transformative effect of the Civil War on the United States. However, the discussion did speak to me, especially in light of the recent Society for Military History white paper on the role of military history in the academy and the discussion among prominent Civil War historians over the state of military history in the larger field that was sparked by two prominent articles in the two flagship journals Civil War History and the Journal of the Civil War Era, which was quite enlightening. It is good to see that several institutions still retain separate classes on the Civil War. I will say that I think eventually such classes will become fewer, mainly because of the increased amount of history that will warrant inclusion in our curriculum. One poster to the discussion considered the idea of placing the war within the framework of the long nineteenth century, which struck me as an interesting way of examining the war. The nineteenth century in a broad sense was a transformative period for the nation, as we became an industrial nation, while expanding our control and influence across the continent. To be sure the Civil War factored prominently in these developments and would be a major component to a broader course on nineteenth century America. The war is an important component of most survey American history courses, so it is still going to have a position of importance in our history. 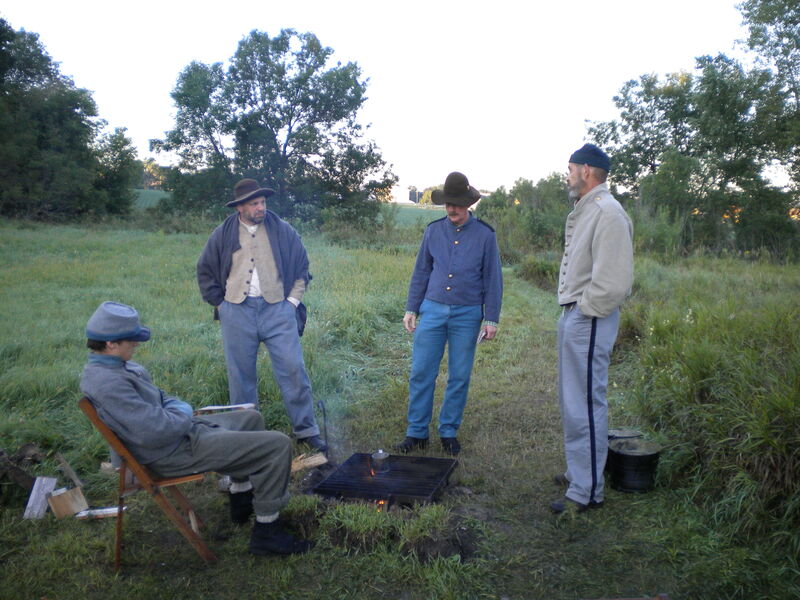 Is there a possibility that stand alone courses on the Civil War will eventually fade away? Sure, as what History departments offer fifty or one hundred years from now may be quite different than now. That said, there are still many (yours truly among them) who are passionate about the history of the war and will continue to work in the field in some capacity and are still young enough to continue the interest for years to come. Further, the war still resonates today and we will eventually commemorate the bicentennial of the war. Also, students still seem interested in taking courses on the conflict, at least in my experiences. We can never predict the future of the field and its place in history education, but it will be interesting to see where trends in scholarship and pedagogy take us and how that influences the nature of courses on the war and how popular they will be. Our nation continues to change and the increasing length of time from the conflict will cause it to fade from memory in some ways, but still hold interest and importance. Consider how educators will grapple with the ongoing centennial of World War I, or, when it comes, World War II and how those events will influence the place of the Civil War within higher education. The war will continue to interest me and I hope that fifty years from now, there will still be students taking courses on the war in college. Only time will tell. Well, I have had a busy last couple weeks, despite the lack of content, which I apologize for. 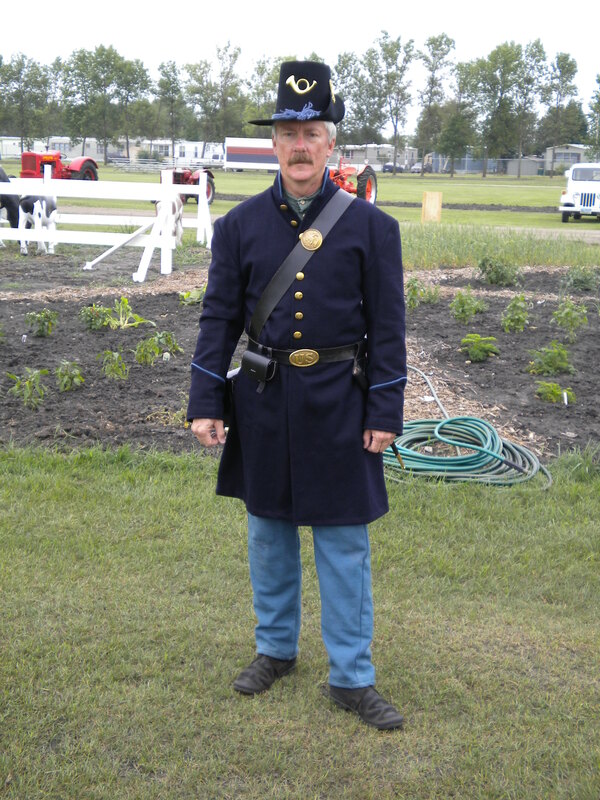 On August 13-15, I attended another reenactment with the 1st South Carolina Infantry, Company H at Pipestone, MN. It was a lot of fun and the weather was not as warm as Nashua, IA. What really made the event neat was going out around 7:30 AM that Saturday and having a morning tactical, which is where we had a battle against one another with no spectators. We then had our battles for the crowd. 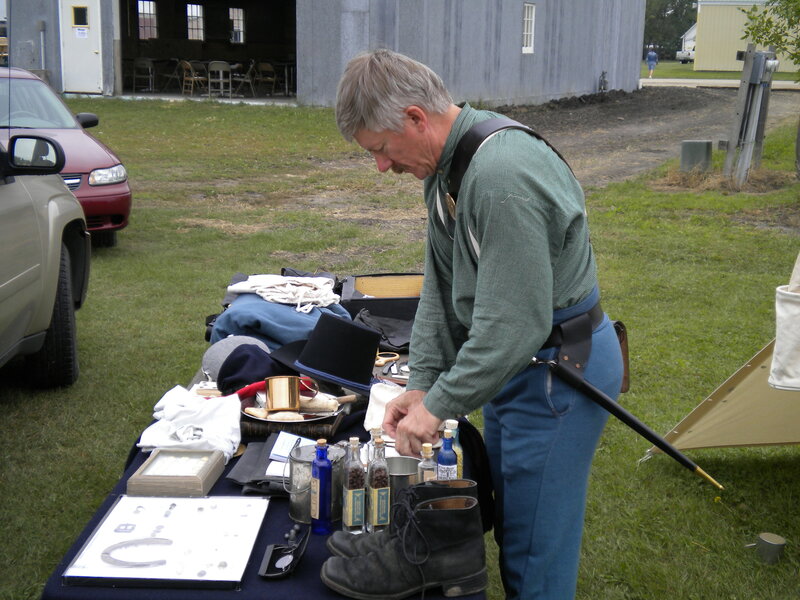 The first day was interesting, as Union forces “died” a bit too quickly, but the second day, we gave the crowd a good show. Unlike, Iowa, I did not take as many pictures, but do have a few. 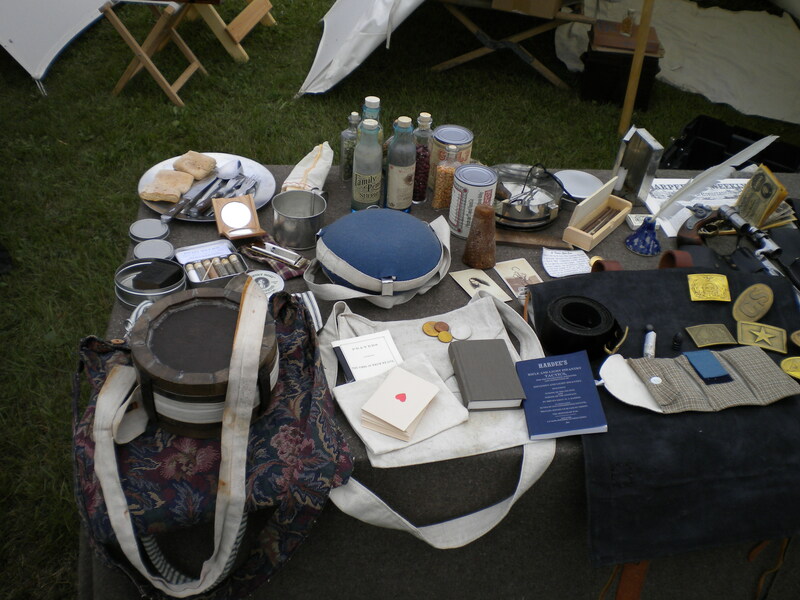 In the coming months, I am planning to get equipment to portray the Union side as well. 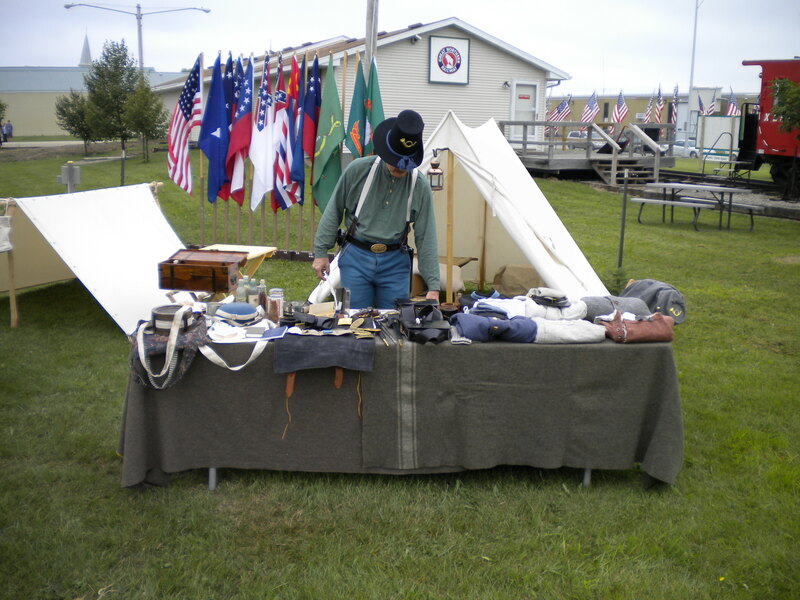 In addition to attending Pipestone, I helped with a display at Heritage Days in E. Grand Forks, MN, where Stuart brought some of his collection. I also spent some time at the lake relaxing and the semester began, with me teaching a section on US History to 1877. It’s a lot of fun and I am glad to be back in the swing of things. 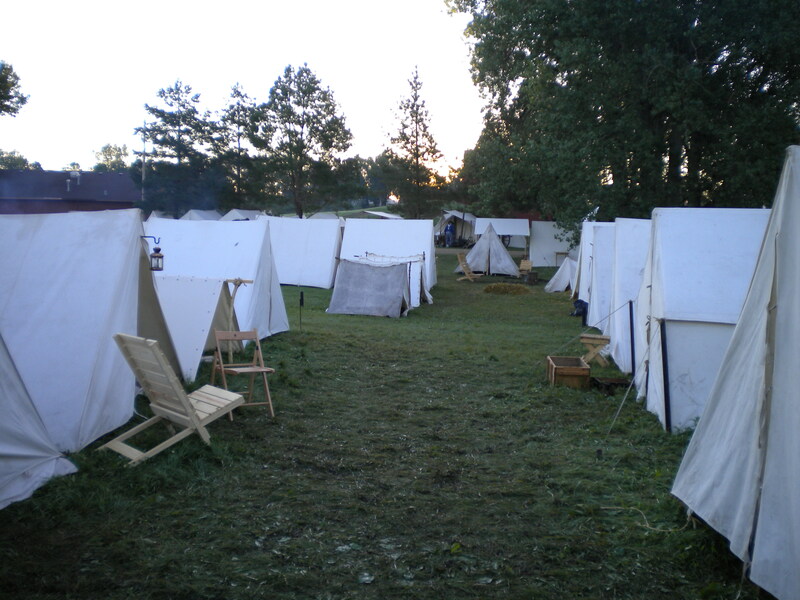 The Northern Plains Civil War Round Table is getting up and running, we are hosting the Northern Great Plains History Conference, which is featuring a few papers on the Civil War, and I am working on reviews of several books. Overall , it’s been a fun last few weeks. 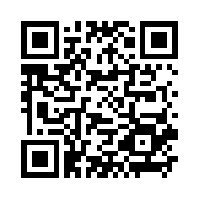 Get CWH on your smart phone! 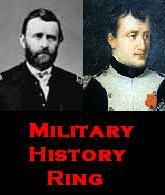 Enter your email address to subscribe to Civil War History and receive notifications of new posts by email.